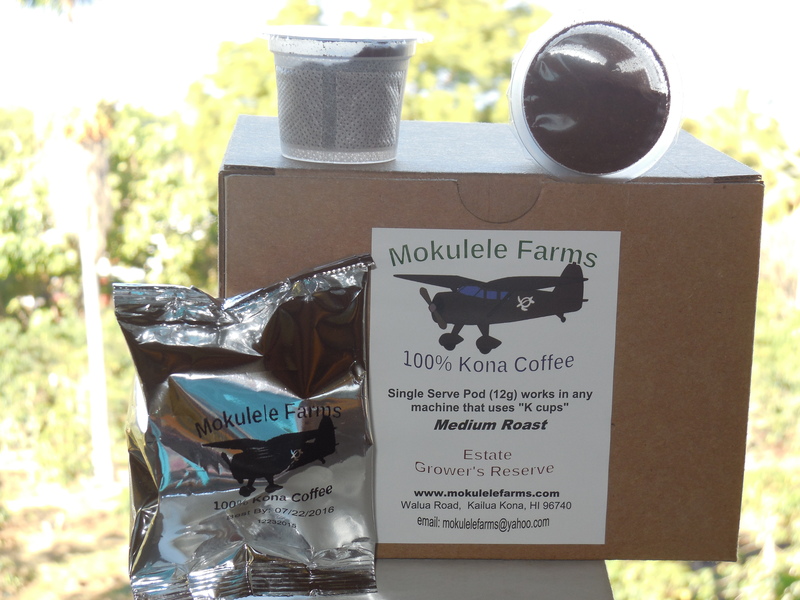 We have succeeded in packaging our 100% Kona coffee into fully compostable filter pods compatible with all single serve brewers that use K-Cups. We did not want to contribute to landfill with plastic cups and foil tops. 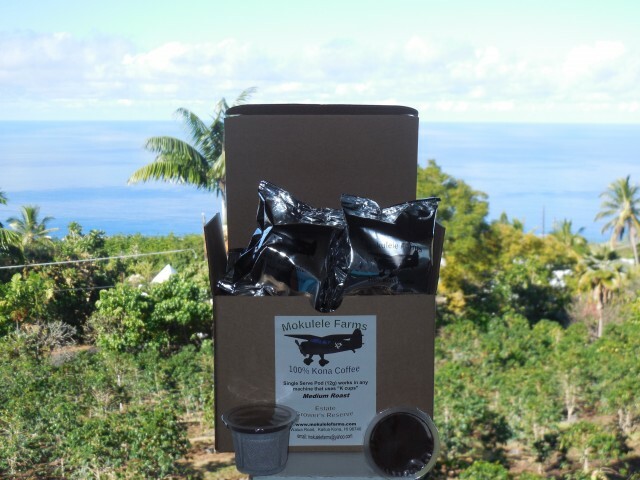 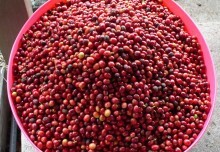 After a year of searching we found a company that packages our 100% Kona coffee in filter pods that are individually sealed in oxygen free mylar bags — that are also fully compostable. 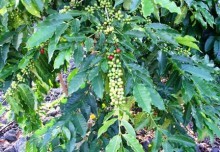 Regular K-Cups use 8 grams of coffee, ours use 12 grams for a much richer coffee taste. This is a real first for consumers, 100% Kona coffee K-Cup compatible filter pods.